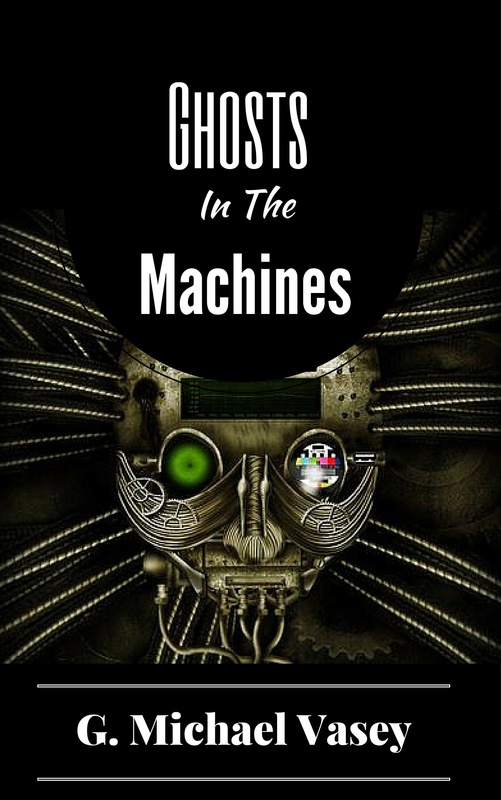 Here is an interesting article from the Epoch Times by Tara MacIsaac about ghost voices and EVP along the lines of my book – Ghosts In The Machines. When it comes to the phenomenon of purportedly hearing ghost voices, some studies have shown there’s a small chance there’s really something supernatural to it. Some other studies, however, have shown it’s most likely people subjectively hearing what they want or expect to hear in random noise. Some of the most stunning cases are hard to replicate in a lab, leaving the mystery open to speculation. It’s All in Your Head? A 2014 study conducted by Michael Nees, assistant professor of psychology at Lafayette College in Pennsylvania, suggests hearing ghost voices is simply a case of people perceiving patterns that aren’t there. The term Electronic Voice Phenomena (EVP) describes disincarnate voices allegedly picked up by electronic devices. For example, many investigators of the paranormal bring machines that produce white noise to “haunted” sites to see if ghost voices will emerge from the white noise. It’s the audio version of an inkblot test, Nees said. Different people hear different things, and it’s not that fixed words are objectively present. He thinks people wrongly perceive patterns in random noise. Half of the participants in his study were told openly the study was about EVP. The other half were told the study was about speech perception in noisy environments. He used samples of purported EVP from a ghost-hunting reality TV show. As controls, he also used samples of actual human speech (some clear, some obscured by noise), and recordings of only noise. Being told that it was an EVP experiment led participants to hear the voices more often in both the EVP samples and the control samples that contained actual human speech. When participants heard a voice in the EVP samples, they could only agree on what it said 13 percent of the time, compared to 95 percent of the time with actual human speech. He mentioned a 2011 study by his colleagues Mark Boccuzzi and Julie Beischel at the Windbridge Institute. They tested a type of EVP machine that uses short speech elements to generate a “robotic-like random voice.” The operator asks questions and purportedly receives appropriate full-word responses from the random mix of speech elements. Among other methods of analyzing the “responses,” Boccuzzi and Beischel used speech recognition software to provide a bias-free judgment. The responses perceived by the operator were not confirmed by the speech recognition software. “These data suggest that the interpretation of EVPMaker conversations is a subjective process, the content of which is meaningful primarily (and perhaps solely) to the operator,” they wrote. In addition to these very rare occasions (perhaps not likely to be captured in a sampling from any given ghost-hunting TV show as Nees’ study explored), some anecdotes go well beyond a vague voice amid white noise. These anecdotes are hard to verify. They rely on an experiencer’s report of what happened. Yet if such events did happen as reported, they are rare events that are hard to replicate and study. In his book, “The Impossible Happens,” Dr. Imants Barušs—a psychology professor at King’s University College affiliated with the University of Western Ontario in Canada who has also conducted studies on EVP—told of such an outstanding event. Barušs’ student, whom he names as “Angela,” was in the same room as her mother as her mother was typing a report on the computer. The word “perfect” appeared multiple times inexplicably. Her mother thought it was strange and told Angela, who was also perplexed. Then Angela’s mother was startled by their dog, who moved suddenly from under the desk. She hit her knee and Angela, also startled by the commotion, screamed. The words “ouch” and “screaming” appeared on the screen. Angela thought it was a hacker, so she pulled the cords connecting to the Internet and unplugged webcam. They had a Ouija board in the adjacent room, and Angela went toward it. Her mother told her “boo” appeared on screen. Angela screamed. “Screaming” appeared. Before they all went to bed, greatly unsettled, “Nite” appeared. In the morning, the words “sorry loves” were on the screen. Her mother got a perfect grade on her report. “Perfect” was the word that had started it all. Epoch Times has also interviewed a man named Rick Dodson who detailed some strange telephone calls he says he received out of the blue in which he seemed to have full conversations with people who had died. Others have reported similar experiences. In these cases, the experiencers did not expect to receive any communication and were not looking for it. Some Chance of the Supernatural? Barušs’ studies did not provide strong evidence for EVP, but he did encounter what he considered a “statistically rare event.” He had a computer randomly respond “yes” or “no” to a series of questions. The idea was, if an intelligent entity were trying to communicate through the computer, it could influence the random responses to make them not random and to answer the questions correctly. In one test, the computer answered correctly 9 times out of 11. The program had a 4.2 percent chance of obtaining this result. A few others in the past have tried testing the phenomenon and concluded it could be supernatural. During amateur tests, or those by ghost-hunters on TV, such acoustic shielding is usually missing. As for the possible source of EVP, there are other possibilities besides the imagination of the operator and ghosts, Auerbach said. “There are other potential psi sources besides the dead,” he said, suggesting the possibility of the operator’s mind physically affecting the machine among others. Home » Ghosts in the news » Evidence? » Hearing Voices….